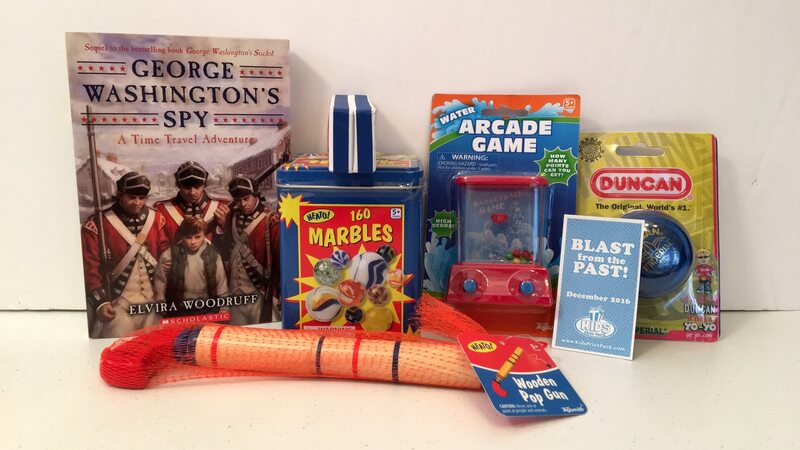 Kids Prize Pack offers a new theme each month and finds the best books, toys, games, and activities based on that theme and puts a box together. So, not only are subscribers guaranteed a new book to read each month, they get some really cool stuff to make that book even more interesting. Another cool feature of the Kid’s Prize Pack is the fact you can personalize it to your child. They have four categories to cover girls and boys from ages ranging from 4-8 and 9-12. Cost: Kids Prize Pack is $34.99/month and there are other options to get a small discount by committing to longer terms. You can find the pricing information on their website. Coupon/Savings: Use the code ‘RISKFREE when ordering to get an extra 10% savings plus free shipping. 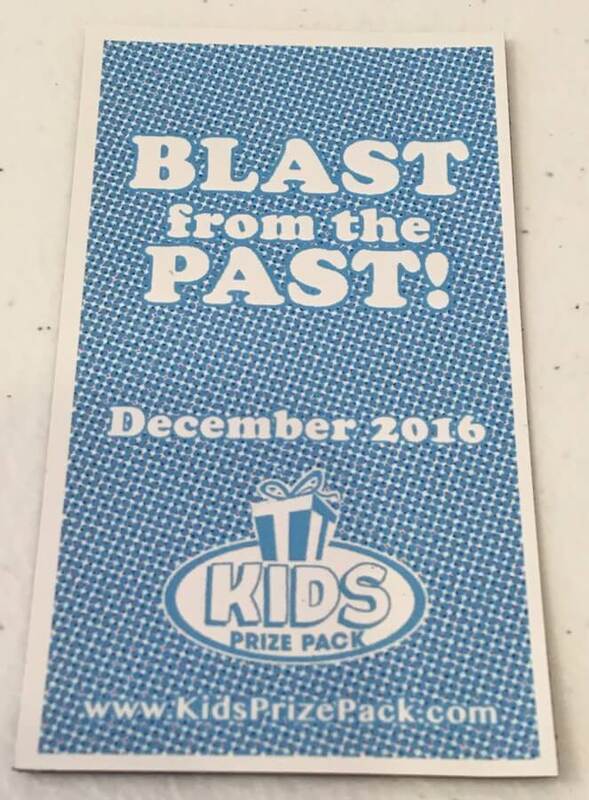 December: Blast from the Past! We are going to look at two boxes from Kids Prize Pack. November and December brought some really fun boxes. One was more “nerdy” and the other was just plain fun! 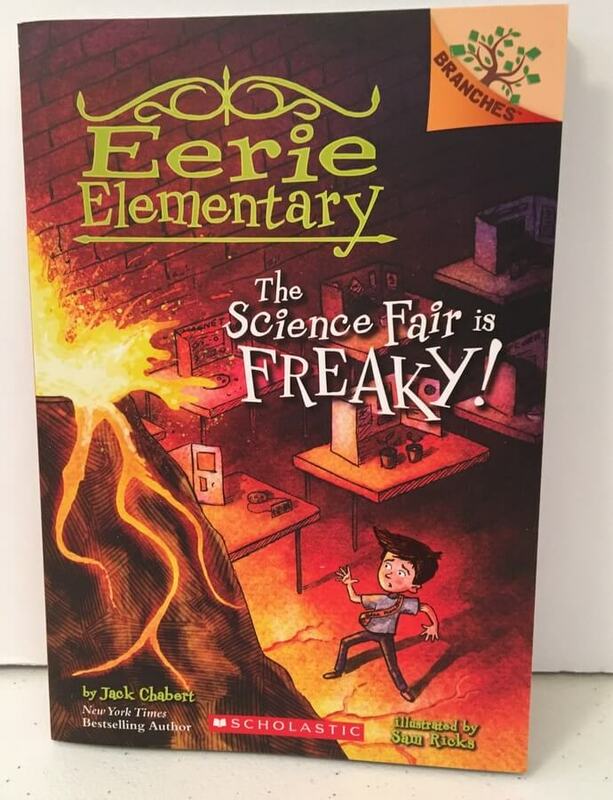 Going along with their themes, we have a fun science-themed book, Eerie Elementary: The Science Fair is Freaky! 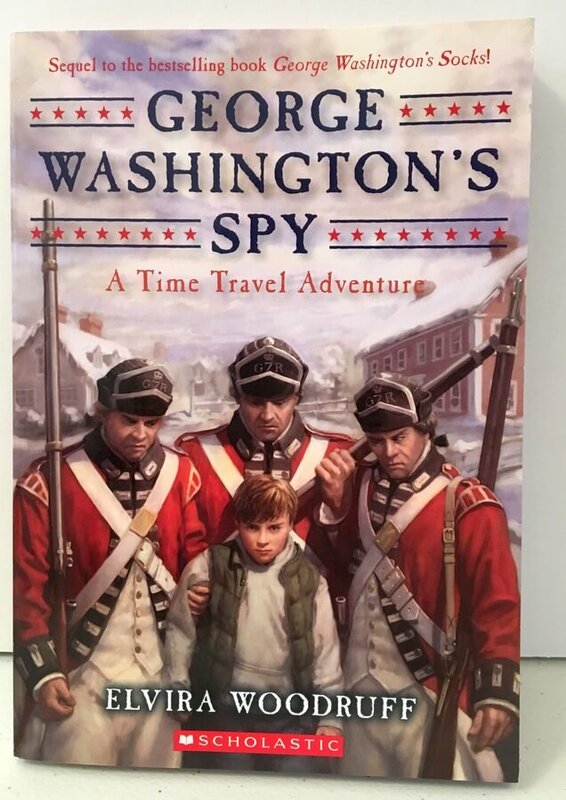 and a book about history (the past), George Washington’s Spy: A Time Travel Adventure. 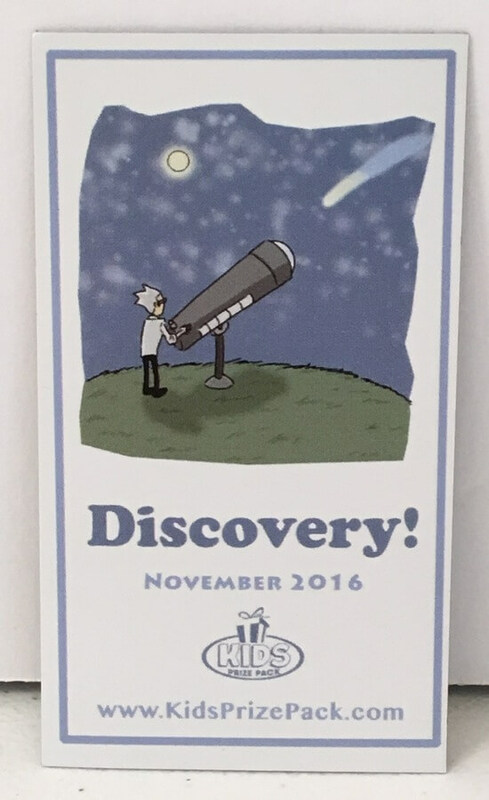 What items came with the Discovery Box, you ask? Let’s take a look! 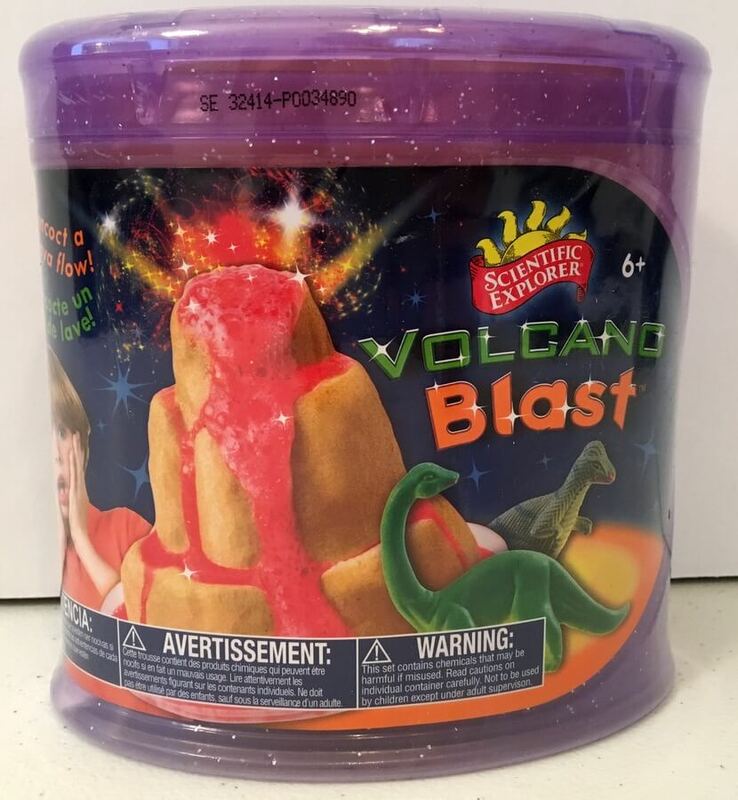 Okay, What boy wouldn’t want to make a volcano? 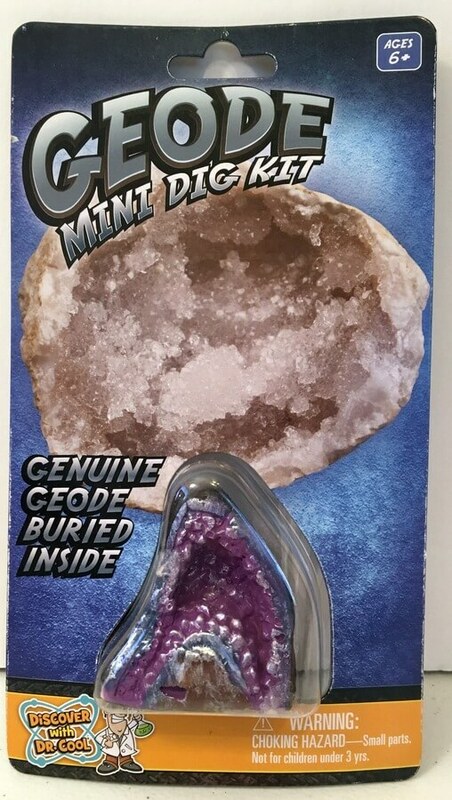 Geode Mini Dig Kit: Crack open the Geode to discover a unique mineral. I definitely see a science project in Brayden’s future! I think this one pre-dates me! A wooden pop gun.. Is it loud? I hope not! 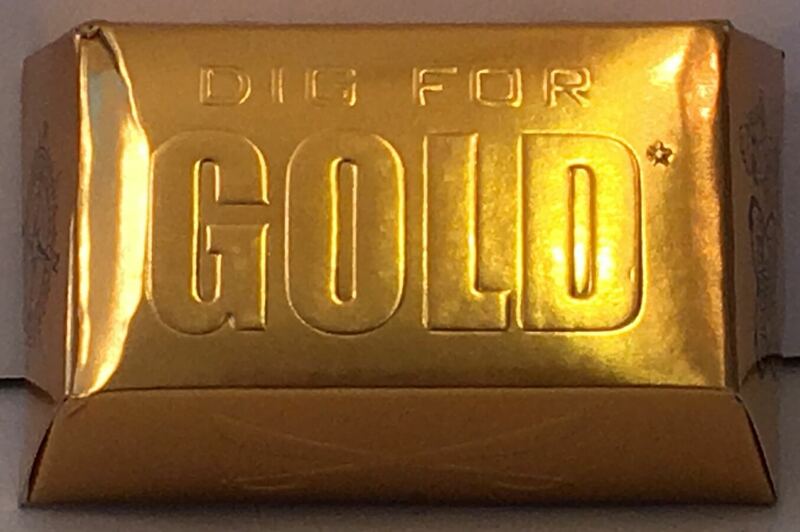 A Harmonica! 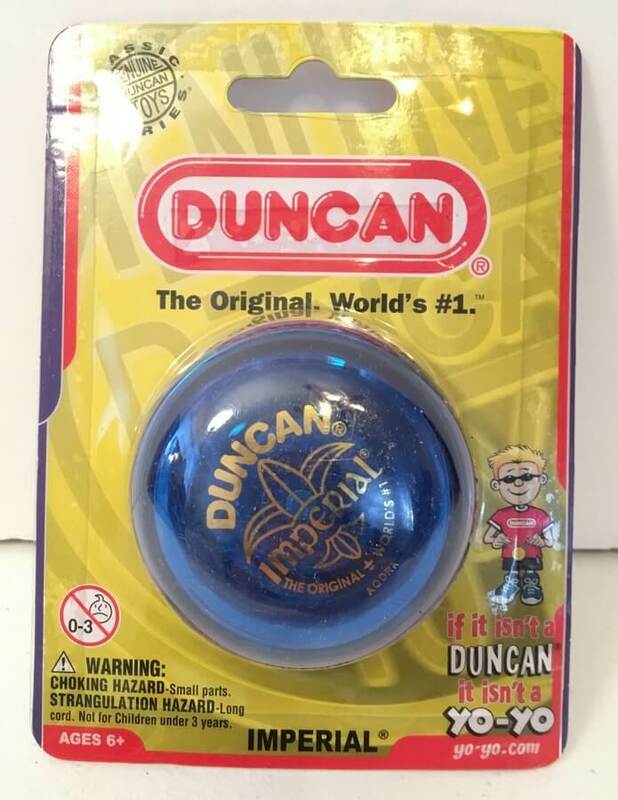 I always wanted to know how to play one of these! Couldn’t quite figure it out. I love yo-yos! I don’t know how good I am at working on anymore but I think they are so much fun! I was wondering why this box was so heavy! 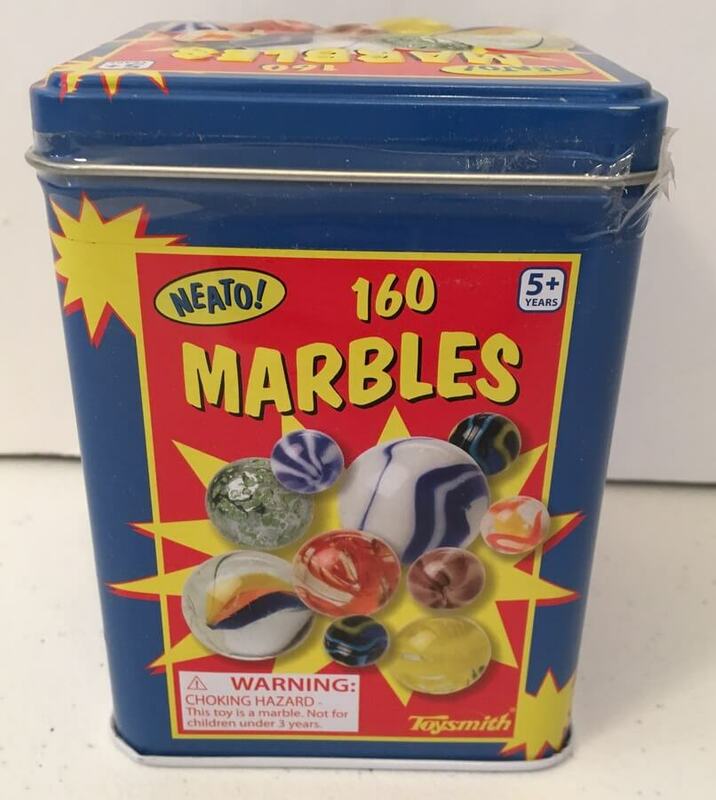 If you’ve lost your marbles, I may have found them. 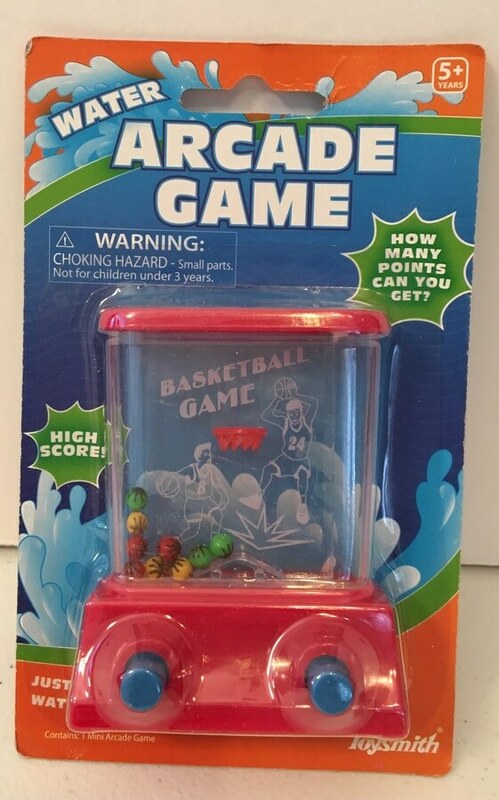 Now this is gaming as we once knew it. Isn’t this box loads of fun? And educational too! 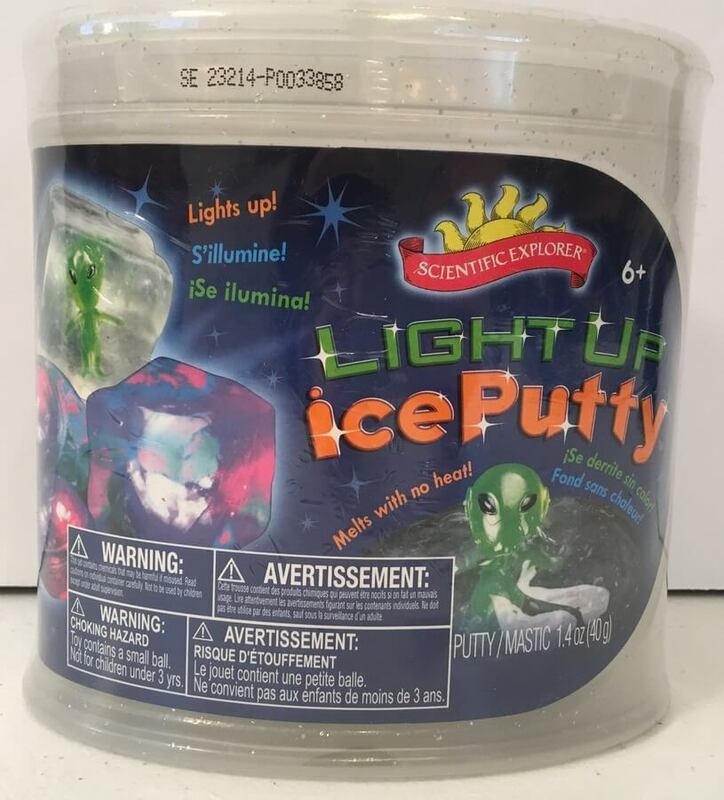 I always look forward to seeing what comes in the Kids Prize Pack and I am extremely excited about the January Box. We just got it and will be reviewing it soon. The theme is “Arts & Crafts” and I love crafty things. This should be good. Not convinced this is a great box yet? Check out some of our previous reviews to get more evidence!